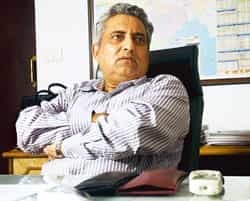 New Delhi: India’s apex power-sector planning body, the Central Electricity Authority, or CEA, is facing an acute shortage of staff, said its chairman Rakesh Nath, who added that that this has affected its day-to-day functioning. Of the CEA’s 578 positions, some 100 positions are lying vacant, and the situation is expected to only worsen at the end of this year when 40 people retire, he said. The average age of employees at CEA is 45. “This is happening across all departments where people are retiring and fresh people are not joining...in an attempt to keep pace with our responsibilities, we are working long hours and are prioritizing the work. The work having low priority is getting delayed." The CEA’s mandate is to advise the government on issues related to the power sector. It is currently playing a vital role in the United Progressive Alliance government’s ambitious ultra-mega power project, or UMPP initiative and is the nodal agency for site selection for such projects. The recruitment to the CEA is conducted by the Union Public Service Commission, through a Combined Engineering Services Examination that is held every year for engineering graduates. There are 14 engineering services and the candidates selected for the CEA belong to the Central Power Engineering Service. However, these exams are seeing a decline in the number of aspirants as engineering graduates increasingly choose the private sector over government. Public-sector units, or PSUs, are governed by standardized pay structures, which are not as attractive as those offered by the private sector. “Even (state-owned) NTPC Ltd and Bharat Heavy Electricals Ltd (Bhel) are facing similar problems," the CEA official said. While the salaries offered by state-run entities such as NTPC and Bhel are marginally higher than the private sector’s at entry-level engineering positions, engineers employed in the private sector at senior manager-level positions earn salaries four times that of their PSU counterparts. A senior manager-level employee in a PSU typically earns around Rs8-10 lakh per annum. This is expected to improve after the recommendations of the second PSU pay revision committee are implemented. Nath, however, argues that “even with the type of opportunities offered by the private sector, the type of exposure, training, work and responsibilities one gets in the government cannot be easily matched". In a related development, CEA has moved a proposal to the government for direct induction of 40 engineers based on interviews by UPSC. These candidates will not have to sit for the Combined Engineering Services Examination. “The proposal has been taken by the power ministry to the ministry of personnel. With government sector pay packages increasing, we may see more interest from next year," Nath said. “The fundamental problem at the CEA is that its role as a technical think tank for policy making has often been subverted for political objectives. The organization is currently demoralized, and is finding it difficult to attract talent. The CEA needs to get back its pre-eminent role as a technical standard-setter and the leadership needs to establish this focus unambiguously. Only then will it attract talent again," said Anish De, chief executive of Mercados Asia, an energy consulting firm.